From Software released this week a whopping 19 minutes of footage of Bloodborne footage via IGN‘s First program. The video features 19 solid minutes of mostly uninterrupted gameplay for you to enjoy. As a result, the pacing is sometimes a bit slow, but it gives a very clear idea of what we can expect from the game, from aesthetic and basic combat up to a boss battle at the end of the clip. The first thing you’ll notice is that, if you played Dark Souls, you’ll be treading on some very familiar ground here. There’s never been any illusion about that, and that’s exactly what a lot of us are excited about. You’ll also notice that the combat feels much faster. We’re nowhere near Devil May Cry or Bayonetta territory, but the character in the video moves quickly and feels pretty agile. 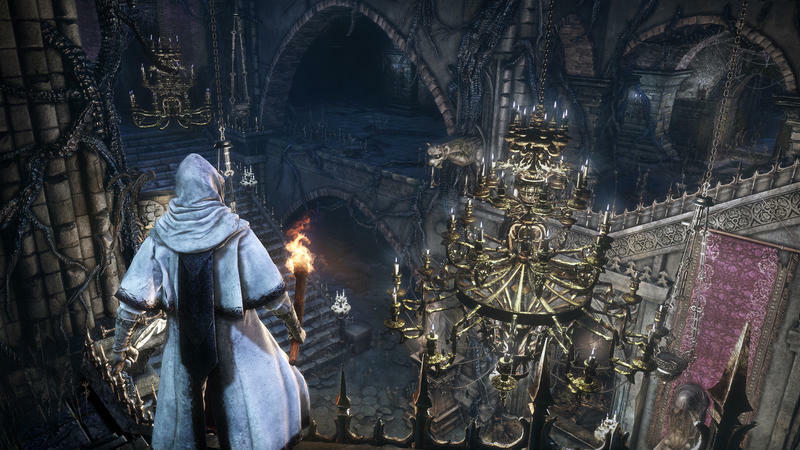 It looks from the video like Bloodborne was given to the creators behind Dark Souls to experiment with their formula without being bound so closely to the rules of their previous games. Bloodborne releases exclusively for PlayStation 4 on March 24, 2015.